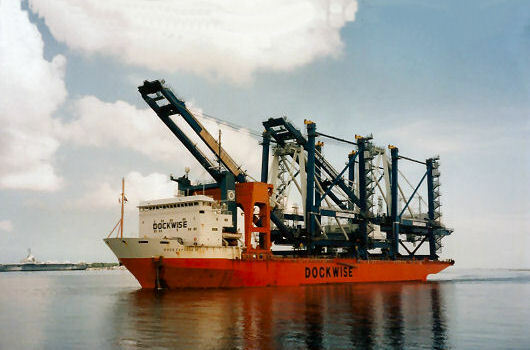 In August 2000, the DOCK EXPRESS 10 delivered two 4-th generation container cranes to the Wondo Container Terminal in Charleston, South Carolina. 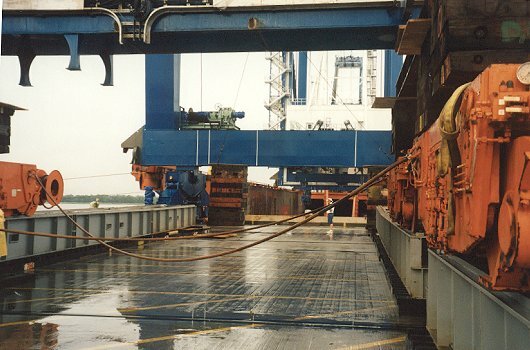 To clear the Cooper River bridge, the vessel hold was flooded to achieve maximum draft (minimum air draft). Argonautics Marine Engineering, Inc. was hired to supervise the so-called "Miami" method offloading. 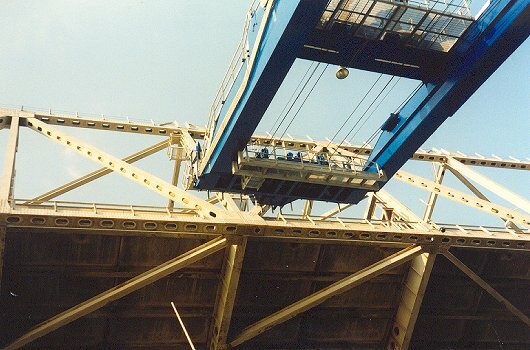 After removal of the tie downs, the 1,100 t cranes were skidded aft over the ship's outriggers until the crane's landside sill beam could be lowered onto a set of jack boogies, which moved the crane further over the quay. Once in position, the waterside sill beam was temporarily supported by wood blocks, enabling the ship to move forward. The waterside was then picked up again and the waterside trucks could be rotated and lowered onto the rails. 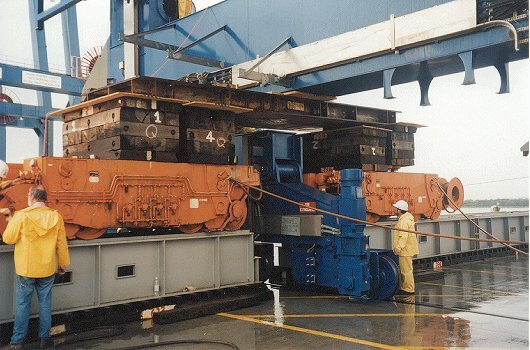 The landside was then jacked up for installation of the landside trucks after which these were also lowered onto the rails. After 3 days preparations, both cranes were offloaded in 3 consecutive days, within the favorable tide windows. 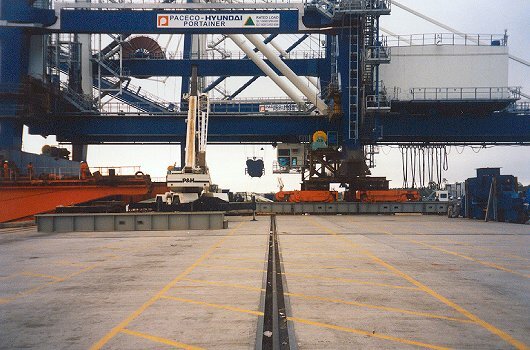 Argonautics Marine Engineering, Inc. also coordinated the loading of these cranes in Ulsan.